Thumb through any history textbook, or watch any Hollywood biopic, and you'll see a pretty consistent version of Abraham Lincoln's story. The solemn, dignified leader who helped free the slaves and guide America through the Civil War is someone almost everyone learns about by the time they're out of grammar school. But before he stepped into the political arena, the man who would eventually become president was a combatant of a different kind: a wrestler on the American frontier. Standing at an impressive 6 feet, 4 inches tall, with lanky arms perfectly designed to tie his opponents in knots, Lincoln was a renowned grappler known for his peerless strength and keen mind in his teens and early 20s. Remember, though, wrestling in rural 19th century America didn't have the fluid grace of an Olympic contest, and it certainly wasn't the garish morality play of the WWE. No, this style of wrestling was a pure test of strength, with combatants locking horns to prove their dominance in front of an audience mostly made up of drunks, gamblers, soldiers, or some combination of the three. Known as catch-as-catch-can style, this brand of wrestling is best described as "more hand-to-hand combat than sport." Touting just one loss among his 300 (or so) contests, Lincoln gained a reputation among the New Salem, Illinois, locals as an elite fighter, eventually earning his county's wrestling championship. He knew just how good he was, too. After one victory, Lincoln reportedly looked at the crowd and bellowed what passed for trash talk at the time: “I’m the big buck of this lick. If any of you want to try it, come on and whet your horns.” The challenge would go unanswered. Lincoln's most memorable contest came against Jack Armstrong, a member of the rough and rugged Clary's Grove Boys. When Armstrong heard stories of Lincoln's famous strength (from Lincoln's boss, no less), he challenged the future president to a match. Crowds gathered. Money was wagered. And when the bout was over, Lincoln again stood tall, as he always seemed to. Some versions of this story claim that Lincoln challenged each member of Armstrong's gang to individual fights after they attempted to interfere in the match before a clear winner was declared. Armstrong, admitting defeat, reportedly called off his friends and became lifelong friends with Lincoln. While accounts differ on the last moments of the fight, it's clear Lincoln had earned the respect of not only Armstrong, but the neighborhood as a whole. 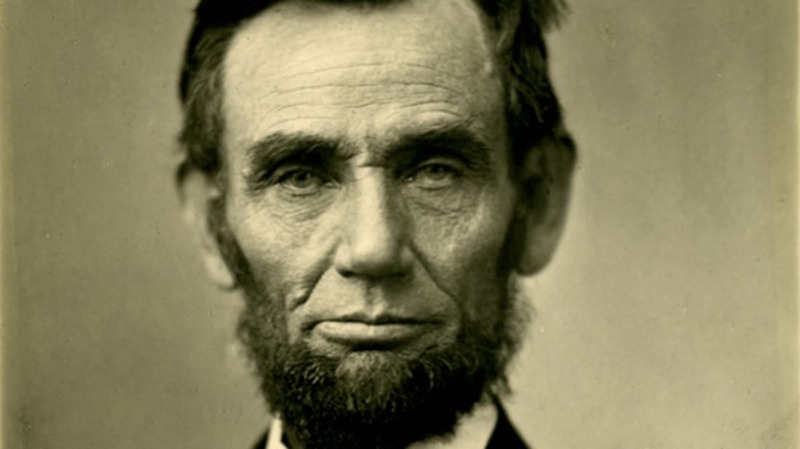 "The episode was full of important consequences to Abraham Lincoln. His courage and prowess had been thoroughly tested and had made a deep impression upon the minds of his rough neighbors. He was in no danger of further challengers from any of them, and Jack Armstrong avowed himself the fast friend of the man who had given him so good a shaking." To this day, historians can only find one instance where Lincoln was bested during a match. It occurred while he was a part of the Illinois Volunteers during the Black Hawk War of 1832, when a man named Hank Thompson became the only man to actually throw Lincoln during a bout for his regiment's championship. While Thompson may have claimed the title, Lincoln's reputation as a feared wrestler—and beloved president—was rewarded in 1992 when he was inducted into the Outstanding American wing of the National Wrestling Hall of Fame. He's joined there by three other presidents: George Washington, Teddy Roosevelt, and William Howard Taft. None of them, however, quite matched Lincoln's mystique as a trash-talking, grappling frontiersman.